GoPro has launched a new version of its Hero4 camera that is smaller and lighter than other models in the company’s Hero4 range. 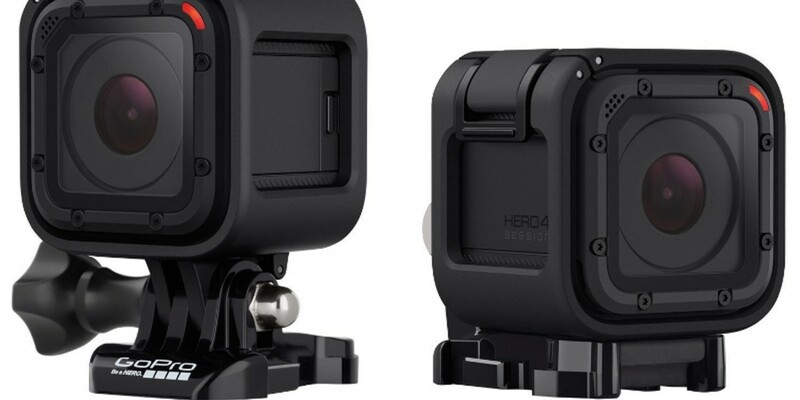 While smaller, the new Hero4 Session will still play nicely with existing GoPro mounts when it goes on sale at the end of this week for around $399. The camera is capable of capturing 1080p at 6ofps, 720p at 100fps and 1440p at 30 fps. Naturally, carrying the GoPro brand conveys a certain sense of ‘ruggedness’, so it’s useful that the Session is waterproof up to 33 feet. The company says that as you don’t need a separate waterproof housing for the camera, the audio quality on the resulting videos is much clearer. There are also dual mics on board, which the camera switches between automatically to reduce wind noise. The unit uses a single button control – with short or long presses activating different modes. As with other models, additional features and functionality are accessible via the GoPro app or Smart Remote.